Israel -Rabbis in the Israeli army told battlefield troops in January’s Gaza offensive they were fighting a “religious war” against gentiles, according to one army commander’s account published on Friday. “Their message was very clear: we are the Jewish people, we came to this land by a miracle, God brought us back to this land and now we need to fight to expel the gentiles who are interfering with our conquest of this holy land,” he said. They were leaked from a Feb 13 meeting of armed forces members to share their Gaza experiences. Haaretz and the daily Maariv, which also published the accounts, quoted over half a dozen soldiers and airmen. The institution’s director, Danny Zamir, confirmed that Thursday’s published accounts were authentic. In longer excerpts in its Friday “Week’s End” edition, the daily quoted ‘Ram’ as saying his impression of the 22-day operation was “the feeling of an almost religious mission”. There was a “huge gap between what the Education Corps sent out and what the IDF rabbinate sent out”, he said. The corps’s pamphlets told the history of Israel’s fighting in Gaza from 1948 to the present, but the rabbinate’s message imparted the sense that “this operation was a religious war”. The rabbinate of the IDF provides religious services, including overseeing preparation of kosher food, providing prayerbooks and prayer sessions and religious counselling to any soldier wants to participate. Involvement is not obligatory. The Palestinian Center for Human Rights (PCHR) has put the Palestinian death toll during the war at 1,417—926 civilians, 236 fighters and 255 police officers. Israeli officials have disputed those figures. Thirteen Israelis were killed. Israel faced global criticism over its assaults in densely populated areas of Gaza in the campaign, launched with the declared aim of ending rocket attacks from Hamas and other Islamist militant groups in Gaza aimed at its southern towns. Hamas clerics have often called for “Zionist” blood to be spilled. The Islamists carried out dozens of suicide bombings in Israel before and during a Palestinian uprising that erupted in 2000, blowing up buses and cafes. The Jewish state tries to balance the needs of its non-observant majority with religious tradition. While the military does not provide data on the disposition of personnel, observers report a disproportionately high number of soldiers and officers wearing skullcaps—a symbol of Jewish faith. One week after the Gaza offensive ended on Jan.18 Israeli human rights group Yesh Din called on Defence Minister Ehud Barak to dismiss the chief chaplain, Rabbi Avichai Rontzki, who holds the rank of brigadier general. It said he had distributed a booklet to soldiers fighting in the Gaza conflict quoting an ultra-nationalist Israeli rabbi as saying that showing mercy towards a “cruel enemy” was “terribly immoral” and advising soldiers they were fighting “murderers”. Barak responded to the IDF revelations on Thursday by repeating Israel’s description of its armed forces as the most moral in the world. The IDF said its judge advocate-general had ordered an investigation. And the problem is, what exactly? There are specific halachos for conducting a milchemes mitzvah and milchemes reshus, and soldiers should be instructed in these halachos. When my son was in the IDF (the Nahal Chareidi) he had shiurim in these halachos. It makes no difference what some un-named, leftist, self hating, IDF soldier said to the media. The fact is that the military action in Gaza was necessary to stop the terrorists from firing missiles into Israel. The left will always find something to criticize and they usually criticize the frum community or "Rabbi's". That makes good press. Who cares what anybody says? Do what has to be done. Do what is according to Halocho and what is right! Nu, it's called milchemes mitzvah. What's he complaining about? A chaplain is supposed to boost soldiers' morale for the job they have to do; that's what the rabbis were doing, so all should be OK. 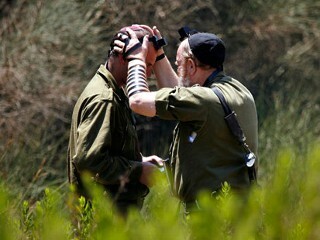 If the rabbis were telling the soldiers to sympathise with the enemy and go easy on them, *that* would be a problem. So now the world has a problem with the truth. What a shock. The State of Israel is so perverse, I can't stand even reading about it anymore. Hashem! Please bring Your Moshiach now. If this is Chas Va'chalilah true, which I pray it is not, these rabbonim should be court-martialed and charged with murder or war crimes. This is beyond insanity and will result over time in the deaths of thousand of yiddin in retaliation by the terrorists. it's not a milchemes mitzvah because it's a war started by a non-jewish state. don't get me wrong, i want every muslim out of Jewish land, but this is no milchemes mitzvah. Go crack a sefer. Hilchos Melochim 5:1. "Ezras Yisroel mitzar shebo aleihim" is a milchemes mitzvah. What right? How can you ask such a question? The Torah's right. Do you believe in the Torah or not? The Torah says this is what you tell soldiers; what more right do they need? Who cares whether some antisemite in Geneva or Manhattan calls something a "war crime"? Who determines right and wrong? The UN or the Torah? Removing an army chaplain for teaching hilchos tzovo is exactly the same as removing him for enforcing kashrus in the base kitchen, or for forbidding an operation on shabbos because it's not pikuach nefesh. That's his job, and nobody has the right to fire him for doing it. What is wrong with you? Teaching halachos of milchemes mitzvah and milchemes reshus is not "indoctrinating to commit war crimes" in any way shape or form. You must be an Arab-lover. Go blow yourself up and leave us alone. The rabbonim taught what the Torah says. If you don't believe in the Torah there are plenty of web sites for you. I'm not saying it would be; I'm saying that it could be interpreted that way...we don't want IDF soldiers pulled off airplanes when they fly through Europe and held as possible "war criminals"
Who should be deciding military policy and procedure - rabbis or the generals? Like it or not, Israel needs the u.s. and if israelis start looking, sounding and acting like other religious fanatics, then at some point people will ask why should the u.s. give so much support to Israel which doesn't even have oil to give in return. Unfortunately, Israel has to behave better than its neighbors. The talmud says "dinah d'malchusa dinah"; we must obey the Geneva Convention since EY is a signatory to this treaty and it becomes the same as if it were a law of EY. The Geneva Convention take precedence over any rebbe's own understanding of what constitutes a milchemes mitzvah. P.s. why did you change your name from Milhaus to Mihouse. If someone has a problem with the Rabbis in the IDF, go BECOME YOUR OWN RABBI THERE, until then, Shut up! Hashem yerachem. I'm beginning to see the rationale behind the respective approaches of the Satmar Rov zt"l and Yeshayahu Leibovich z"l.
What has that got to do with the rabbonim? Or with the topic at all? The soldiers have to do their job, and the government has to protect them from being kidnapped in other countries. Israel has to let the Europeans know that any attempt to "arrest" a soldier for doing his legitimate military duty will be regarded by Israel as an act of war. Leibovich zichrono likloloh? You put him in the same sentence as the Satmar Rov? What have they got to do with each other? “ The talmud says "dinah d'malchusa dinah"; we must obey the Geneva Convention since EY is a signatory to this treaty and it becomes the same as if it were a law of EY. The Geneva Convention take precedence over any rebbe's own understanding of what constitutes a milchemes mitzvah. 1. What an amhoretz you are. Or stam a liar. Where did you hear that dina demalchusa can override a halacha? Which religion is this? NO LAW CAN OVERRIDE EVEN A DIKDUK KAL SHEL DIVREI SOFRIM. There is nobody at all who disputes this. End of story. 2. Even if your premise were correct, since when is a treaty the same as if it were a law of Israel? A treaty binds the government (so long as it chooses to be bound); it's not law. If it is true B"H then Haaretz should be shut down for inciting against the religious population by leaking this in the way that they did. If it is false then Haaretz should be shut down and its senior personnel jailed as well. "observers report a disproportionately high number of soldiers and officers wearing skullcaps -- a symbol of Jewish faith." I thought that Israel has a draft in force! And the religious are those that usually try to evade the draft. It doesn't make any sense. But what is the chances of being false? Today's Times said there were wiretaps in the IDF training offices, so there is proof. OK. Israel is called the state of Israel. NOT THE ORTHODOX HAREDI COMMONWEALTH OF ISRAEL! I hope who ever this "Rabbi" was is fired on the spot. This is after Israel's De Facto Rav Elyashav telling non Jews what to do. The world gets crazier every day! Yeshaya Leibovich? The same rosho who compared IDF soldiers to nazis? You put a "z"l" after his stinking name? There are many soldiers of Israel who are shomrei mitzvos and who want to perform all the mitzvos that relate to their mission of protecting the people of Israel. to #17 what an haratzos, what perversity of halochos...where do you take such garbage as 'geniva convetions are dina demalchise..and if geniva convention will say you have to eat dovor achar..
“ OK. Israel is called the state of Israel. NOT THE ORTHODOX HAREDI COMMONWEALTH OF ISRAEL! Get this: the WHOLE WORLD belongs to Hashem. Lahashem ho'oretz umlo'oh. And He sets the rules, not you or Meretz or the Geneva convention. “ "observers report a disproportionately high number of soldiers and officers wearing skullcaps -- a symbol of Jewish faith." As for war crimes, do you remember the debate in the US about signing the treaty? Any military action can be seen as a war crime from a certain perspective. The US didn't want to put itself at the mercy of "the community of nations" when it knew full well that just, proper, and necessary actions by the US could lead to accusations of war crimes (especially by nations that quietly supported the action but publicly had to be anti-American). The Lubavitcher Rebbe said clearly during wars israel had, starting with the 6 day war the rebbe established the mitzva tank, and th rebbe said lcearly when a jew puts on teffillen in New York this protects an israely soldier fighting on the front line. So yes, this is a religious war, when we fight for the sake of jews we win, when we say to the U.N. that our right to the land is becuase hashem gave it to us, and therefore there is nothing to discuss, and we wilol not give it up, only then will we win. So let me get this straight. It was the rabbis that planned the mission, authorized supplies and equipment, and ordered the troops into battle. The Anti religious government merely went along with the rabbis so the rabbis would not punish them. I have a serious problem with that scenario. So the rabbis gave a pep talk, so what? Could you imagine a leftist giving a pep talk? "you soldiers should know that you are going into illegally captured terrority that we have no right to enter. Yopu will be murdering innocent civilians. Even the soldiers that you kill, since they are rightfully defending their land, it is murder because you are in the wrong. You should not shoot the people trying to kill you, but rather give them a hug and tell them it's the rabbis that made you do this and we have no problem living together in peace. It's the rabbis that they should kill because tey are the source of all the animosity. That would be much better right?